So yesterday I was browsing Facebook and saw that Final Fantasy Portal has been released! I highly recommend this app to any final fantasy fan. Right now it is free and allows you to download and play Final Fantasy 1 for free. Essentially the Portal app is for fans of the series to get updates on games, music, books, merchandise, and events on Final Fantasy. It also has an in app game, Triple Triad. If you're a fan of Final Fantasy VIII you definitely know of Triple Triad. It is one of Final Fantasy's greatest card games. Now unlike Final Fantasy XIV: A Realm Reborn this version of Triple Triad is one that allows you to take one of your opponents cards at the end of the game upon winning. Unlike Final Fantasy VII's version of Triple Triad, this version does not make you lose a card upon losing. You have a certain amount of times you can play until you have to wait a certain time to get more crystals to play more. There are many different apps got released with this one. All of these are pretty cool, and may be worth downloading. Below I'll list them and what they are about. So Final Fantasy VII is also available to download straight from the Portal. 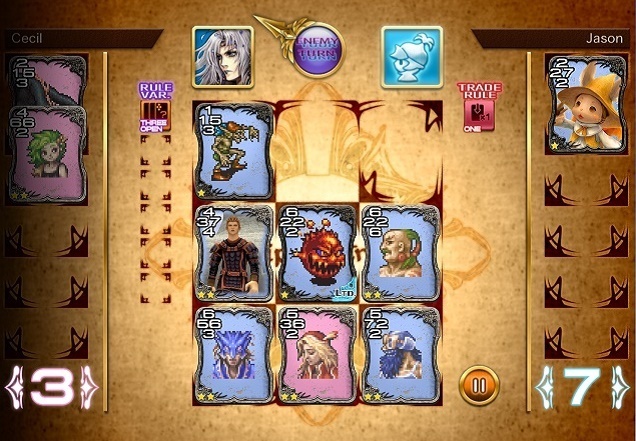 Most of the Final Fantasy's have been adapted to be able to be played on mobile. Final Fantasy VII was the most recent in the series to be released on mobile. I highly recommend this application for anyone who doesn't know much about the Final Fantasy series and would like to know about it. Essentially this is a game about the Final Fantasy "records" or stories becoming lost. 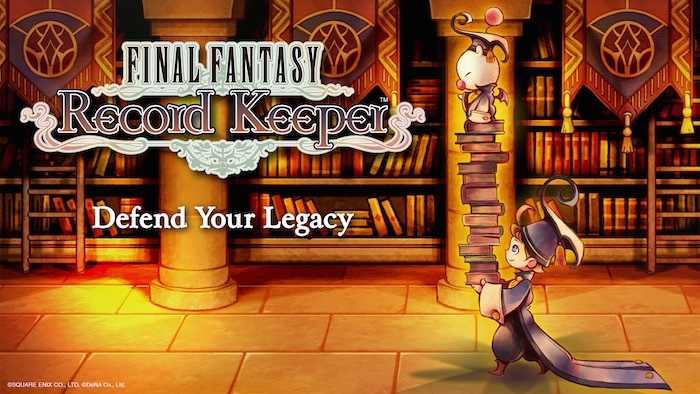 You, a young record keeper must play through the highlights of every Final Fantasy game to retrieve and fix the records. It's a super fun and simple game that gets you through each story fairly quickly. This is much like Record Keeper where you are just fighting Final Fantasy monsters, and collecting Final Fantasy Characters. This is a game that just puts you up against monsters from each of the games. So if you are currently playing Final Fantasy XIV, this may be a cool app for you. It allows you to look up info like items, gear, gathering, and crafting items. It also allows you to see your character. Other Final Fantasy games like Final Fantasy II, III, IV (and After Years), V, VI, Crystal Defenders +Plus, Crystal Defenders, Dimensions, Theatrhythm, and Tactics War of the Lions.